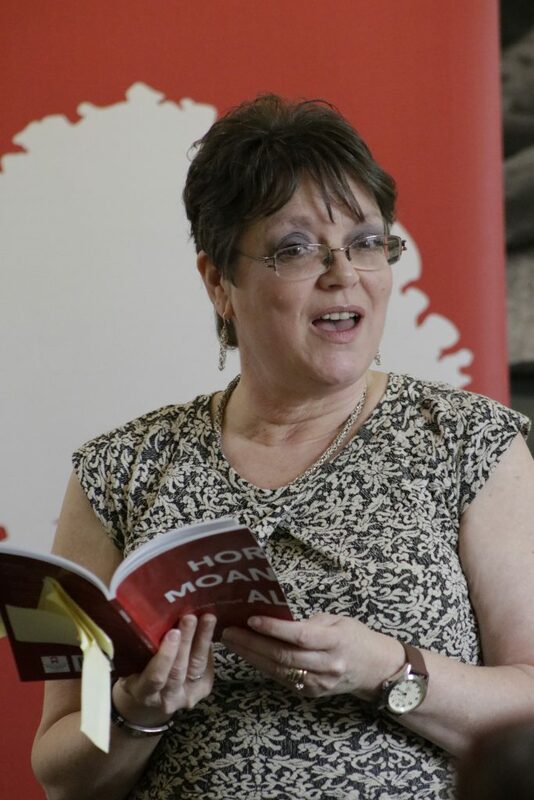 Linda, congratulations on your debut poetry collection, Hormoanal, published by Matthew James Publishing, and launched at the Stockport War Memorial Art Gallery. What made you decide to write about the menopause? Hi Deborah, thanks for having me! 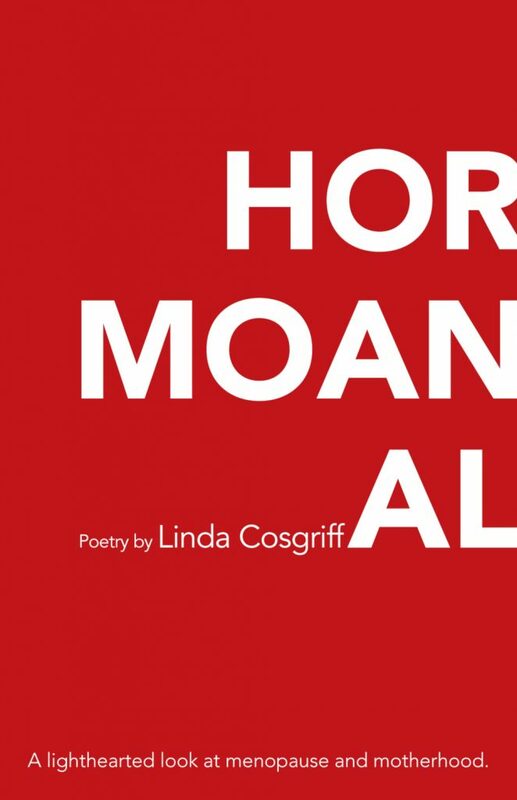 Hormoanal is actually a collection of two halves: the first deals with motherhood. Those poems were written organically, inspired by my children as they grew up. That’s my favourite way to write, listening out for poems as I live my life. The second half was written much more intentionally: when I realised I was on the menopause I thought (grumpily), ‘Well, if I’m going through this for the next five years or more, I’m getting something out of it’. I made a point of thinking about the symptoms instead of simply enduring them. I love to laugh at life, because laughter makes everything more bearable, so the decision to poke fun at the menopause was easy. Can you share with us a couple of poems and walk us through the idea behind them? Stretch marks march over homegrown hills. Ankles, feet, even knees, swell. You love this child created in love. but – most of all – your unencumbered mate. You miss your feet. And sometimes, the toilet. you can’t concentrate enough to disagree. you just can’t stomach it. It was difficult to choose representative poems because part of my style is to write in as many different ways as possible, so some poems rhyme, others don’t; some have irregular stanzas, some are regular forms; some are short, some are long; some are punctuated, some are not; some have regimented syllable counts, others don’t, and so on. Plus, I’ll mix it up so that very few poems have the same elements. When I write thematically, I like to approach the theme from as many angles as I can think of. I chose this poem in the end because it shows my love of wordplay. As an example, this line: ‘You miss your feet. And sometimes, the toilet’ plays with two meanings of ‘miss’ and allows for a punchline. The use of ‘stomach’ on the last line operates in the same way. The poem also shows how I treat supposedly sacrosanct subjects (in this case, the reverence in which society holds pregnant women) and makes fun of them, using myself as the source: I did love being pregnant; but I hated it, too. I was often grumpy and unpleasant to my husband. Being pregnant does not make you a Madonna, and we should stop buying into that stereotype. My poems are often visual and don’t always lend themselves to reading aloud. In this one, I use italics to represent whispers and the way we mouth embarrassing words and use euphemisms. I’m a bit of a preacher, there’s no doubt, but if I make a point, I try at least to be amusing. This is my favourite poem in the book, and is most representative of my personality and my style: I have no filter, I tend to blurt things out without thinking, but I make you laugh (sometimes against your will). This poem always gets a laugh, though it’s usually shocked laughter. I’m not great at metaphor and going around the houses to say what I want to say, which is a problem for me, as that is kind of the point of poetry. I remember writing a poem as a teenager, lamenting that poems don’t say what they mean or mean what they say: the meaning/intention of my poems are almost always obvious to readers. A poet for whom I have huge respect once told me that my poems don’t make the reader do any work. She was right; and I’m okay with that. I write for myself but my poems often have an audience, and that audience is most often made up of people with no interest in poetry; if they have to work for it, they don’t enjoy it. If they don’t enjoy themselves, neither do I. You are part of the excellent Write Out Loud poetry collective. Tell us more. I attend Stockport WOL at Stockport War Memorial and Art Gallery. WOL is the largest poetry organisation in Britain and has a fantastic gig guide and poet collective on its website. WOL encourages everyone to have a go at sharing their poetry in a safe space. Stockport is a little unusual in the WOL family in that, though we are classed as an open mic night i.e. anyone can have a go, we don’t have an actual mic, and there’s no stage and no audience; rather, we sit in a circle in the upper gallery. It’s intimate and safe and we welcome newcomers. We are heavily involved in the Stockport arts scene, collaborating regularly with other groups. 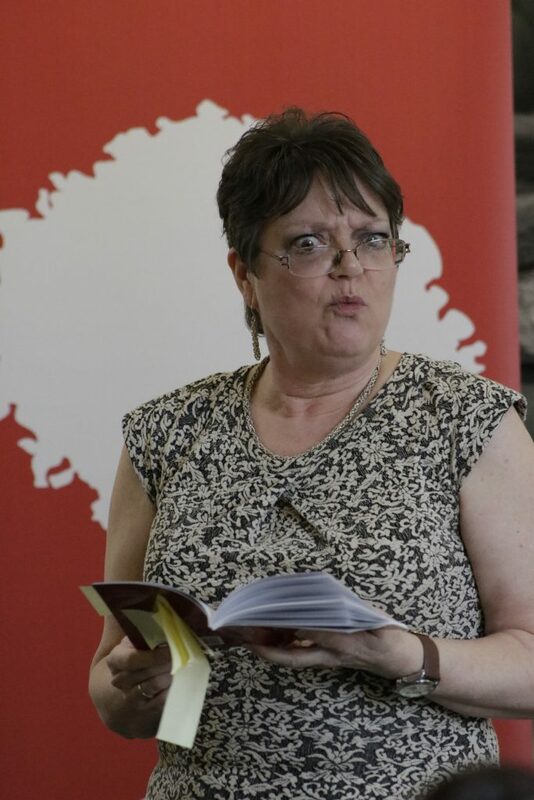 Last year alone, we wrote and performed ekphrastic poems inspired by your own Mark Sheeky; we participated in a commemoration of the centenary of the end of World War I, and published an anthology of specially written poems; we supported Marple Book Week by attending their open mic nights as a group. We also support the art gallery each year for World Poetry Day, providing readings and workshops; and right now there is an exhibition of work in the gallery from a collaboration with Stockport Art Guild. It’s fair to say that Hormoanal wouldn’t have been published without WOL. Matthew James Publishing organises Marple Book Week and they invited Stockport WOL to their first open mic night at the Samuel Oldknow pub. Terrified at the idea of attending a ‘real’ open mic night, but encouraged by the group to give it a go, I did, and I had a blast. One of the publishers approached me afterwards and asked me to send them some of my work; the rest, as they say, is history. I would encourage all poets to attend open mic nights because you just never know who’s listening…and start with us! We’re a friendly group. Where did you study Creative Writing? Have you any advice for budding poets? I’ve been writing poetry since primary school but only began to take it seriously when I took a creative writing course as part of my Literature degree with the Open University. Eager to hone my skills, I attended several creative writing courses at local colleges, plus any free writing workshops I could find. One of those – coincidentally, held at the art gallery – led to the creation of Stockport Writers, which we run as a workshop at the Hatworks once a month. Free to attend, we particularly welcome new writers. Finally, thanks to the recent availability of student loans for second degrees, I have just graduated from MMU with a Masters in Creative Writing. I learned a lot from all of this, of course, but the real learning for me came from writing, reading, and editing. Sitting at my desk each day and writing something – not necessarily a poem; reading poets I like and, more importantly, dislike (I have so many poems inspired by my hatred of Larkin, there’s probably a second collection all ready to go); leaving poems for a while and then coming back to them with a critical eye: these habits taught me to think critically, helped improve my work. As with any skill, practice is how we improve. My advice (I have lots of it) would be to read and write as much as you can; to keep an eye out for free writing workshops; to look online for free writing courses – many universities around the world offer them online (known as MOOCs; simply Google ‘creative writing moocs’) and the Open University has some excellent ones available via OpenLearn. The best resource for newer writers, however, is to find some like-minded people and set up a critiquing group. I learned a lot by submitting my work for critique; but I learned even more by critiquing the work of others because I had to justify my comments i.e. think critically, and so often I would suggest to another poet the reason why their poem didn’t quite work, and realise that, actually, I made the same mistakes in my own poems. As you grow in your craft, be an encourager, a mentor, for those who come after you: watching other writers blossom has been a great joy to me, and I often learn from them in unexpected ways. Don’t believe in writer’s block. Yes, there are times when the words won’t come, so do something else. I think of non-writing times as my brain lying fallow, like in crop rotation; eventually, the words will come again. They always come again. Fretting about it is counterproductive. Finally, do it because you love it, because you have to. It’s difficult enough to create something from nothing; if it’s a chore, why are you bothering? Go do something you actually enjoy instead. People are going to laugh at my inspiration, but I swear this is true: The Two Ronnies. Listening to Ronnie Corbett’s shaggy dog stories inspired my blog writing style; and Ronnie Barker’s clever wordplay is something I try to emulate in my poems. My favourite poet is Roger McGough; he’s funny, clever, topical. I read his work as a teenager and realised that poetry didn’t have to rhyme or be serious to make a point or to be enjoyed. I also love Wilfred Owen, but his influence is more about didacticism than style. I’m reading Elizabeth Bishop at the moment. I discovered her on the MA and I spend a lot of time listening to her recite her work in You Tube videos. ‘One Art’ has displaced Owen’s ‘Disabled’ as my all-time favourite poem. I’m also re-reading Claudia Rankine’s Citizen: An American Lyric. Her didacticism is wrapped in a deceptively casual style and I absolutely love it. Andrew McMillan’s Physical is another fabulous read. He writes about a world of which I know nothing and makes it accessible; he is blunt, and that appeals to me. What’s next for you? What plans have you got? What’s next for me? Time off. I’ve been so busy for the last two years, completing the MA, preparing Hormoanal, working with various community groups (I deliver poetry readings and writing workshops around the borough), that when I had a recent health scare, I was glad of the enforced rest! This entry was posted in Blog Posts, Inky Interviews by Deborah Edgeley. Bookmark the permalink.